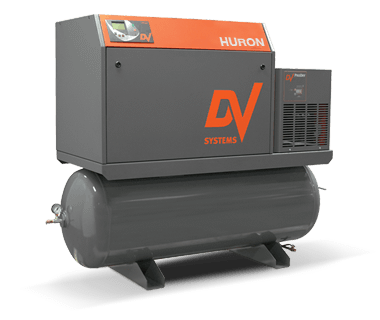 The B10 Huron 10 HP VSD Rotary Screw Air Compressor includes an exceedingly low maximum 55 Amp draw allowing for installations in areas considered financially unviable or unworkable, these heavy-duty, high-performance and high-efficiency Rotary Screw Compressors function at a 100% duty cycle and are well suited for continuous-use situations in which dependable, dry, clean air is a necessity. 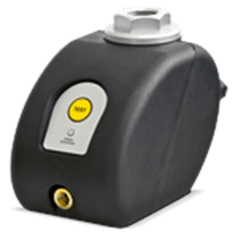 Innovative component integration means a compact, low volume air system designed for efficiency and performance; providing high-capacity air delivery and reliable system pressure within a confined installation footprint. 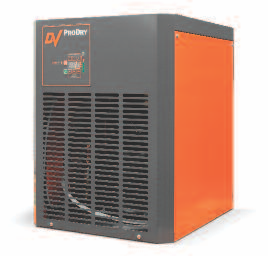 37 Standard cubic feet per minute at 145 PSI.